Trump’s Executive Order to ban Muslims from entering the US, will have devastating consequences both in the US and internationally. It also has a bearing on America’s military agenda in Syria, Iraq, Libya, Yemen, Afghanistan and Pakistan. It is worth noting that Trump’s Executive Order to ban Muslims coincides with the confirmation of Rep. Mike Pompeo as head of the CIA. 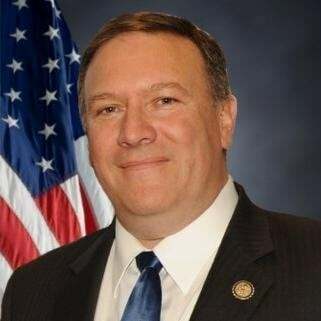 Pompeo is a Tea Party Republican, member of the House Intelligence Committee, with little experience in the practice of US intelligence. Pompeo favors the reinstatement of “waterboarding, among other torture techniques”. He views Muslims as a threat to Christianity and Western civilization. He is identified as “a radical Christian extremist” who believes that the “global war on terrorism” (GWOT) constitutes a “war between Islam and Christianity”. In other words, he is a firm support of the “global war on terrorism” (GWOT) doctrine, under the banner of a “holy war against Islam”. GWOT is “On the Table” of the Trump Administration as an instrument of US intelligence. (Amply documented Al Qaeda and ISIS are “intelligence assets” i.e. constructs of the CIA. In turn, Al Qaeda and ISIS affiliated terrorists in Syria and Iraq are the foot-soldiers of US-NATO). To put it bluntly, both Trump and CIA Director Pompeo firmly believe in their own counter-terrorism propaganda. Continuity is ensured. The mainstay of US intelligence ops. using “Islamic terrorists” as instruments of destabilization and destruction prevails. Of relevance, the ban on Muslims entering the US is also part of a Homeland Security agenda. It is therefore unlikely that there will be a major shift under a Trump administration in regards to America’s military agenda in the Middle East. 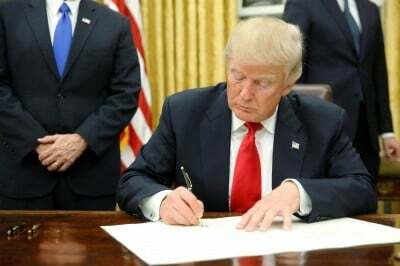 According to Reuters: “President Donald Trump is expected to sign executive orders starting on Wednesday that include a temporary ban on most refugees and a suspension of visas for citizens of Syria and six other Middle Eastern and African countries”. These countries are identified as “terror prone” nations, despite the fact that the US is covertly supporting terrorism in these countries. Trump is expected to order a multi-month ban on allowing refugees into the United States except for religious minorities escaping persecution, until more aggressive vetting is in place. The border security measures could include directing the construction of a border wall with Mexico and other actions to reduce the number of illegal immigrants living inside the United States.